PRIME-MASTER 2 is a hi-solids, hi-building waterborne primer designed for use over most raw wood sub..
PRIME-MASTER 2 is a hi-solids, hi-building waterborne primer designed for use over most raw wood substrates. Its hi-build gives you complete coverage in just one coat. PRIME-MASTER 2 sands to a powder quickly and efficiently enabling less coats and quicker production schedules. Built in stain inhibitors help control mineral bleed and most tannin bleeds. 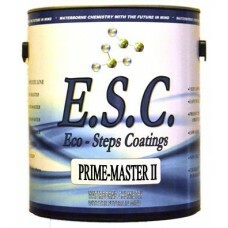 Application: PRIME-MASTER 2 is designed to replace conventional solvent based undercoats and as such should be sprayed. Stir gently so as not to create air bubbles and then strain. Do not over-apply. Thin coats are better than heavy coats. If concerned about potential adhesion issues from unique substrates always do a test area. PRIME-MASTER 2 usually develops quick adhesion. Dry Time: PRIME-MASTER 2 is designed to dry to sand at 75 F in less than 30 minutes. Re-coat immediately after sanding. It is safest to apply no more than 2-3 coats per day. Product must be completely dry before another coat is applied. Maximum hardness occurs after 7 days. E.S.C. 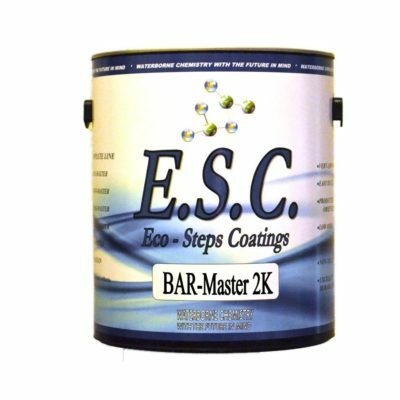 Coatings are designed for the professional and therefore a certain level of knowledge is assumed. When in question always do a test area.